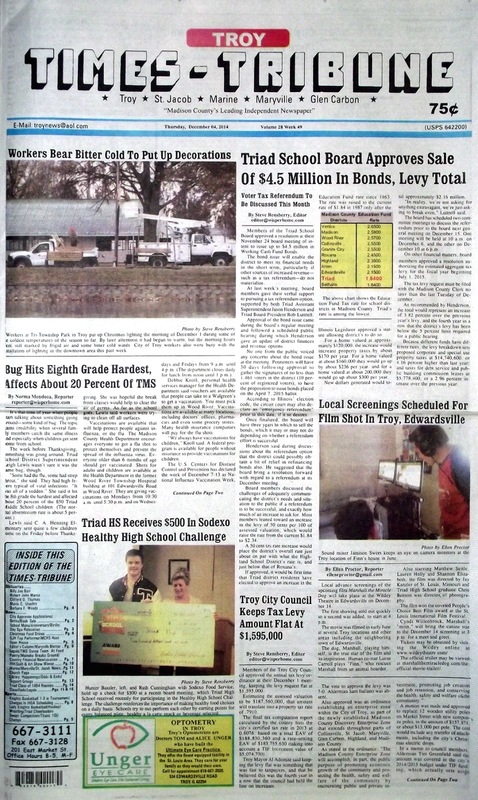 The December 4, 2014 issue of the Troy Times-Tribune is now available. Some of the stories in this issue: Triad School Board Approves Sale of $4.5 Million in Bonds, Bug Affects About 20 Percent of TMS, Screening Set For Film Shot in Troy and Edwardsville, Troy City Council Keeps Tax Levy Amount Flat at $1.59 million, City Approves Two Downtown Store Front Applications, Knights Go 1-3 in Stovetop Classic Tournament; plus we have a full page feature on the Triad H.S. Class of 1964's 50th Class Reunion, a column about playing it safe during the holidays, police blotters, news about upcoming events, and more! 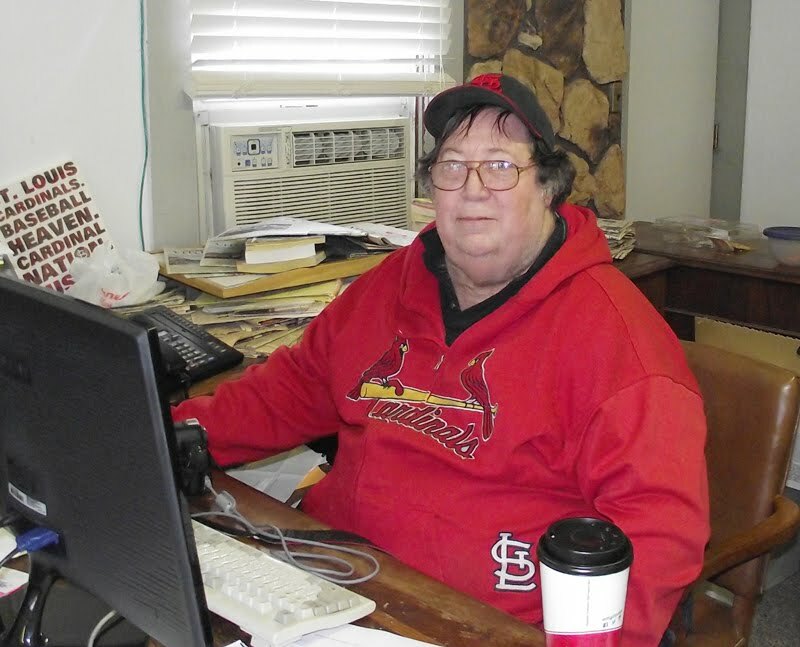 We have obituaries for Billy Joe Barr, Robert John Marco, Clifford O. Thurnau, Mavis C. Utechtt, and Barbara F. Woods.